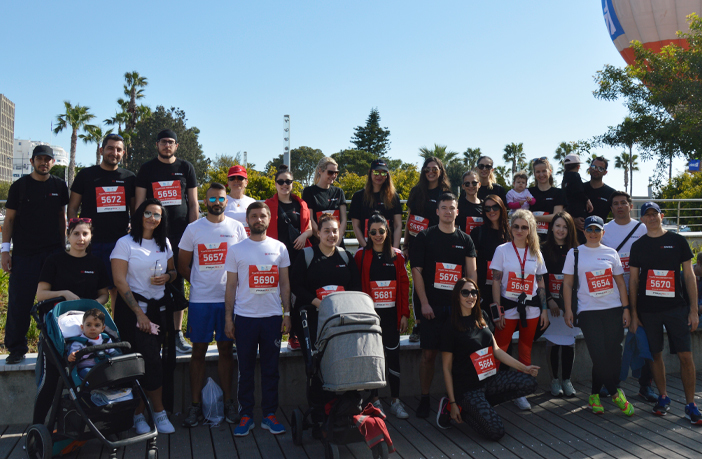 BDSwiss Cyprus offices proudly participated in the 2019 Limassol Marathon, this past Saturday, on March 23, at the 9AM PrimeTel 5km Corporate Race. More than 50 BDSwiss employees took part in the latest Limassol Marathon, organised by the OPAP GSO. The Limassol Marathon is the biggest annual running event on the island, attracting tens of thousands of visitors every year. With more than 14,000 runners from 200+ companies all over Cyprus, this was the most successful Limassol Marathon yet. Aside from being a great team building opportunity for our Cyprus-based teams, the Limassol Marathon was also a good chance to support a charitable cause. Part of all proceeds was used to support the work of the Karaiskakio Foundation, a non – profit organization established with the sole purpose of organizing a volunteer Bone Marrow Donor Registry. OPAP Limassol Marathon GSO is the official marathon of Cyprus and certified by the Association of International Marathons and Distance Races (AIMS) and the International Association of Athletics Federations (IAAF). It is the largest sports event in Cyprus.